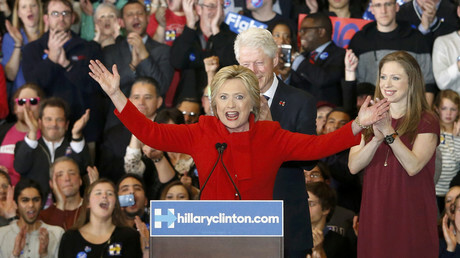 Hillary Clinton appears to have beaten Bernie Sanders in the Iowa Democratic Caucus by a razor-thin margin, 49.8 percent to 49.6 percent, with all precincts reporting, according to the state party. The Sanders campaign is mulling requesting a recount. The results are the closest in Iowa Democratic caucus history, Iowa Democratic Party Chair Andy McGuire said in a statement. Before the final precinct in Des Moines was counted, Clinton was awarded 699.57 state delegate equivalents, while Sanders was awarded 695.49 state delegate equivalents. The final precinct is worth 2.28 state delegate equivalents. Voters of the Des Moines precinct No. 42 could not find anyone at party headquarters on Tuesday morning in order to disclose their tally. 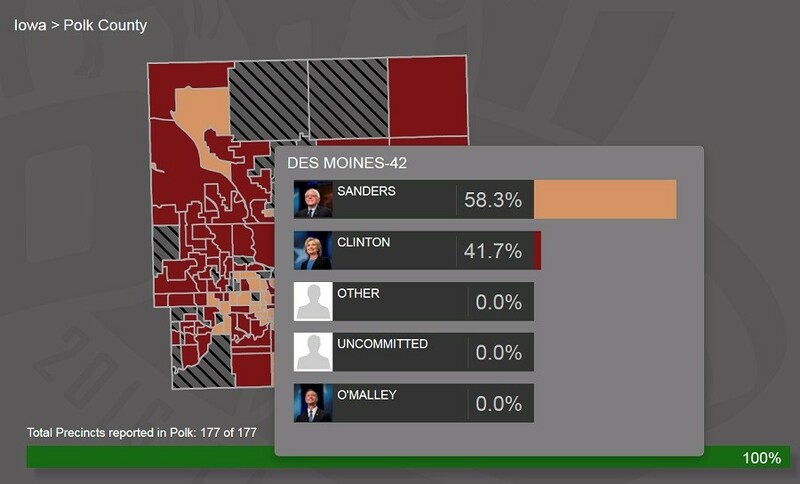 Sanders won that caucus by two delegates, the Des Moines Register reported. “It’s important considering how close the race is. We need to be sure everyone has our accurate count,” Jill Joseph, a rank-and-file Democratic voter who backed Sanders in the caucus at No. 42, told the Register. On Tuesday morning, Sanders’ campaign announced they were told by the IDP that the results from 90 precincts taking part in the Iowa caucuses were in fact missing and that the results would need to be re-staged. There were also six instances where a coin was tossed to determine the Iowa winner, with Clinton winning all six. Sanders also stated that he would like a raw vote count to be released, even though this is traditionally not practiced in Iowa. “I honestly don’t know what happened. I know there are some precincts that have still not reported. I can only hope and expect that the count will be honest,” Sanders said before the results from No. 42 were announced, according to the Guardian. His campaign is "still assessing" whether to ask the IDP for a recount, a Sanders spokesman told AP. 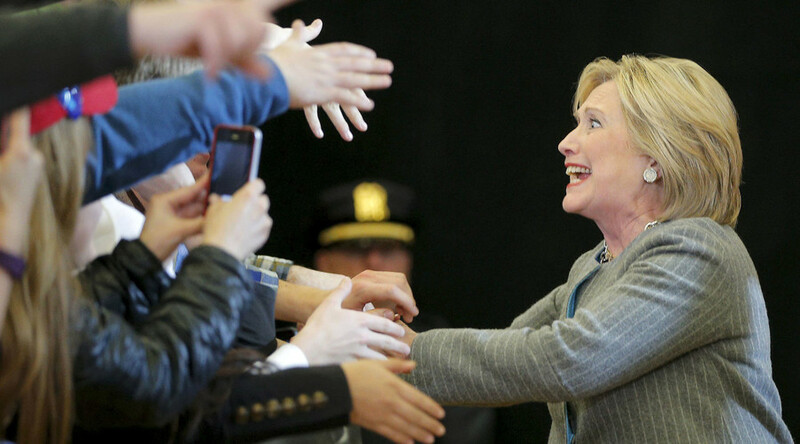 Only projections of how many Democrats turn out to each Iowa precinct are typically released. Candidates are awarded on a precinct-by-precinct basis, regardless of the statewide vote for each person. “After a year where Iowans took the time to see candidates, ask them thoughtful questions, and became volunteers and leaders themselves, tonight 171,109 Iowa Democrats came together with their neighbors to engage in a spirited discussion on the future of our country," McGuire said. Elsewhere in Polk County, video of another precinct posted to the C-SPAN website raises questions of an improper vote count. “Caucus chair and Clinton precinct captain do not conduct actual count of Clinton supporters and deliberately mislead caucus,” the video description read. In the Des Moines precinct that caucused at Roosevelt High School, Sanders received 224 supporters, while Clinton received 232. Three caucusers went missing during the confusion. The crowd voted down a recount. Seeing allegations of fraud relating to #iIowaCaucus. I hear u. But plz realize @IowaGOP & @iowademocrats run caucus. NOT official election. Iowa Secretary of State Paul Pate tweeted that he had received complaints of voter fraud in the caucuses, but cautioned Iowans that the meetings are not official elections and are up to each party.